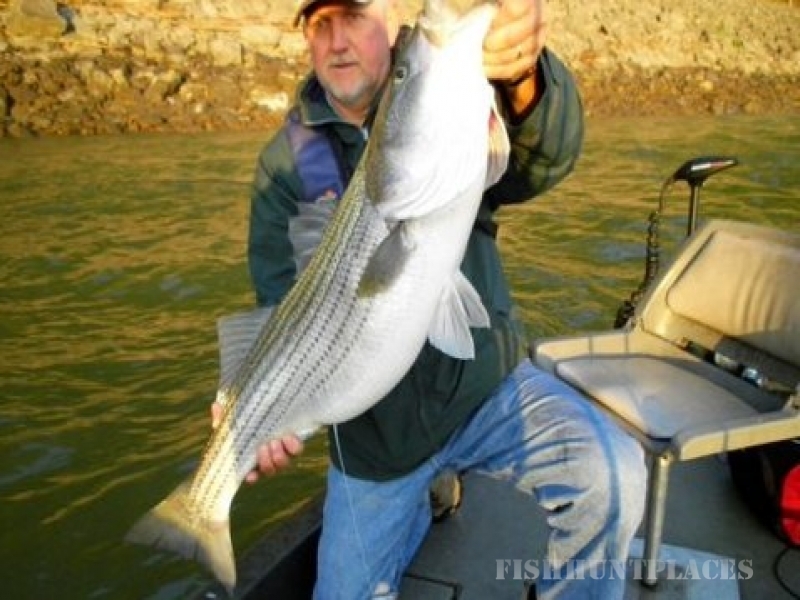 I'm a fishing guide that specializes in catching trophy size stripers in Middle Tennessee. 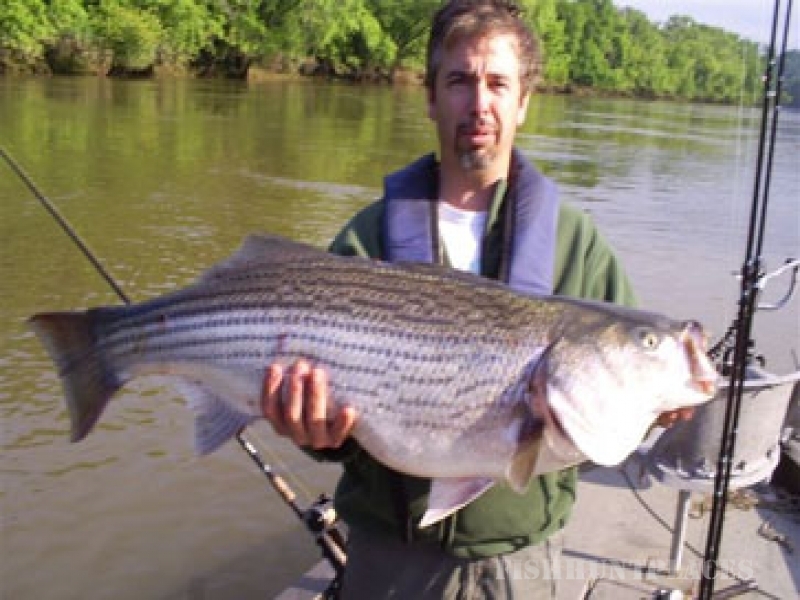 I fish the Cumberland river, Cordell Hull Lake, Caney Fork River and Old Hickory Lake, where the Tennessee State Striper Record was caught. 65.5 pounds!! I have been fishing these waters for over 28 years and have the experience necessary to help you land the big monsters. I have a fully equipped boat set up to catch the giant stripers. I try to book two clients at a time, so it's a customized fishing guide service. No overloading. 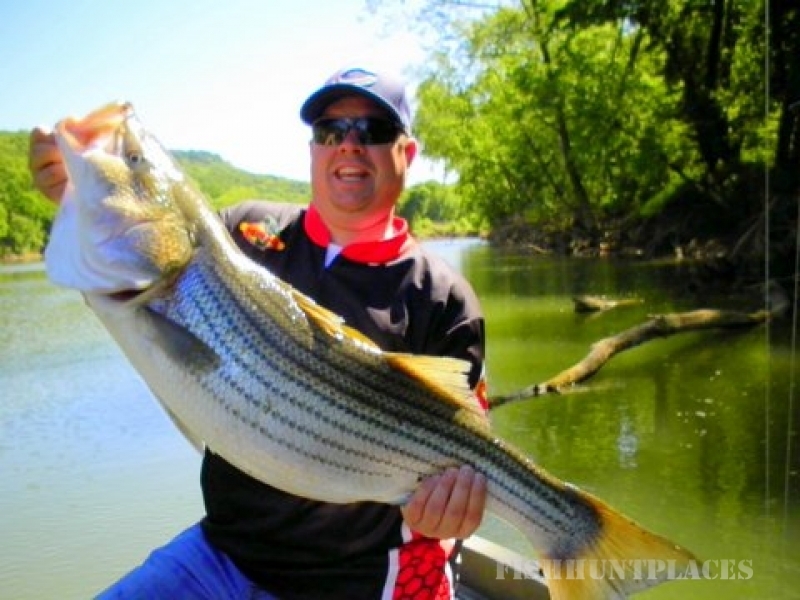 Hooking into a really big striper is an Experience of a Lifetime, and this is my goal for you. We have been catching 20 to 60 lb. fish and it's quite an experience. I also take out guided fishing trips for catfish, sauger, and walleye. Inquire for special rates.